Fear and procrastination have a way of dissuading… of whispering that perhaps you can put off doing what you know in your heart to be intuitive and true. I had been promising to host a writing workshop here in Kimberley, since last autumn. Yet, still I hesitated. I’ve hosted workshops in India and Kazakhstan, and have been part of many writer’s retreats and workshops in various countries. Yet despite knowing how they enrich and inspire, something held me back. Perhaps it was the promise of spring that prompted me to finally plan the inaugural workshop on home soil. For the first time in many years, I’ve spent the entire winter here and I longed for the first signs of spring. With the first hint of melting snow and birds flitting in the pines, I sensed my own awakening. It was time to share what I know with others. Time to inspire others in their writing journey… call it the renewal of spring! ‘The Joy of Writing’ was full, twenty writers had made the commitment of discovery. And, by the time we set down our pens, flowing emotions had translated to profound words on paper and emerging stories. Friends had committed to the workshop together, but wonderfully, strangers had also become friends, united by their common desire to explore and enrich and expand their writing canvas. Less a guide or an instructor, I felt more like a midwife to their nascent stories, helping the latent to become revealed. It was deeply fulfilling, connecting me emotionally to those earlier days when my desire to write and my fear were mixed in equal measure. Yet there’s more here than meets the eye, more here than simply pen to paper. Why do we brave the act of pushing ourselves beyond our boundaries, away from our comfort zone? We humans have a deep-rooted urge to be emotional and in that emotion, to be authentic and, as a consequence, we allow ourselves to be vulnerable. We long to share, to be heard, to be storytellers… to be connected. Writing does this. I’ve written often of that first transformational writing retreat for me. Yes it happened to be in Tuscany, an idyllic setting to be sure, but it struck me that our town’s beloved art centre and gallery was no less inspiring. Kimberley’s population of 7,000 or so, fully embraces the cultural hub that Centre 64 represents. How did some of us word it that day? “In this town renowned and beloved for its culture of the ‘great outdoors’ and where so much of the community bond and identity is somewhat related to planks on snow and wheels on dirt, the Centre feels like a foreign island. So who comes to a workshop? Mature people with a lifetime of stories from Afghanistan to Ireland, within the hippie culture of California and along the quiet backroads of rural Canada. Young mothers who relish the blessed opportunity to write while their toddler naps. And then there are teachers, hair stylists, gallery and city administrators. Indeed, the whole gamut, from firefighters to yoga aficionados. All are people with dreams and talent – writers with the desire to share their personal journey, perhaps for the world or maybe simply for the ‘kids’. Like me, they may one day see their book on bookshelves, yet that satisfaction can be fleeting. I have come to realise that it is the sharing of experience with others that truly matters most. The morning after the workshop, I received a message from one of the participants. Shannon had been up early on her lakefront perch and already writing. The first time I met this lady – beautiful from inside and out – she was relocating a ‘wayward’ snake. We were unloading our kayaks close to her home when she appeared pushing her bike. Slithering in a plastic bag, the snake dangled precariously from her handlebars. At a cautious distance, I struck up a conversation and since then we have enjoyed encountering one another, the way that you do in our small town. 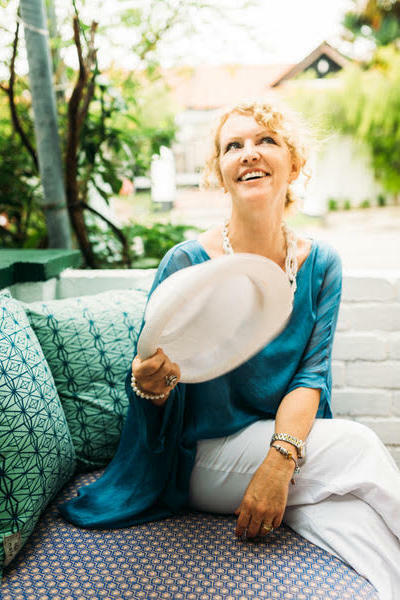 Shannon is a gentle, spiritual soul whose eyes perpetually sparkle – whether doing good for the animal kingdom, talking about her latest yoga retreat, or while writing that day at the Centre. She, and the others, remind me of the joy of connecting. As I read Shannon’s poignant musing that morning, there was no doubting the power of inspiring others, of hearing kindred voices and of why we should always heed our inner voice. In writing and in life, I have learned to follow my instincts – it has become a source of great happiness and contentment. “We are given this lifetime to nourish our souls and to learn life lessons so that we, as beings of light and love, can evolve. We know this as babies and children but then ‘life’ happens and we forget. When we have events occur in our life that cause us frustration, anger, sorrow, disappointment, and fear, we need to step back from the situation and look at it from another view. If we can open our hearts and souls to try to learn and understand why this is happening… If we can be open to where the Universe or God is trying to lead us….